Tucked away in a quiet cul de sac, 10 Harry Mac Court is set on an impressive 1290m2 and is looking for a new family to call it home! Lovingly cared for by the current owners, this home is neat and tidy throughout. Stepping into the home you’re greeted with the first spacious living space equipped with air conditioning, perfect for unwinding and watching a movie. Further into the home you’ll find the second air conditioned living space which makes excellent use of an open plan concept. The functional family kitchen features ample storage and bench space whilst overlooking the family room and meals area. Located off the family room, you can enjoy peaceful outdoor dining in the undercover patio space surrounded by greenery. The master bedroom located at the back of the home features a spacious walk in robe, direct access to its own patio space and to the shared bathroom. 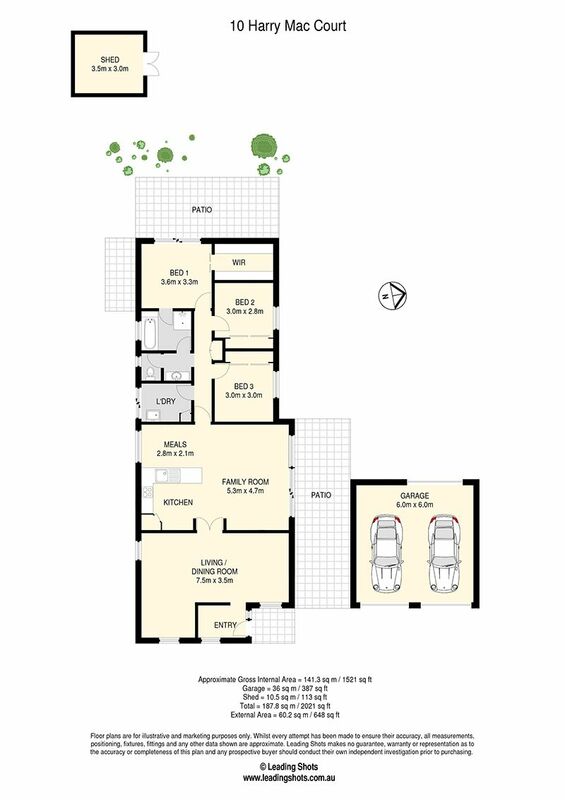 The spacious bathroom is cleverly designed with the shower/ bath separate from the toilet and features a powder room with basin, making the space functional for the whole family. With lush, beautifully maintained gardens the yard is the perfect leafy retreat. Backing onto a nature reserve, you have privacy and space from neighbours at the back of your property. Just minutes walk to Duncombe Park, and a short drive to amenities, transport and the highway this is a fantastic opportunity to secure a large block in a beautiful Narangba location.